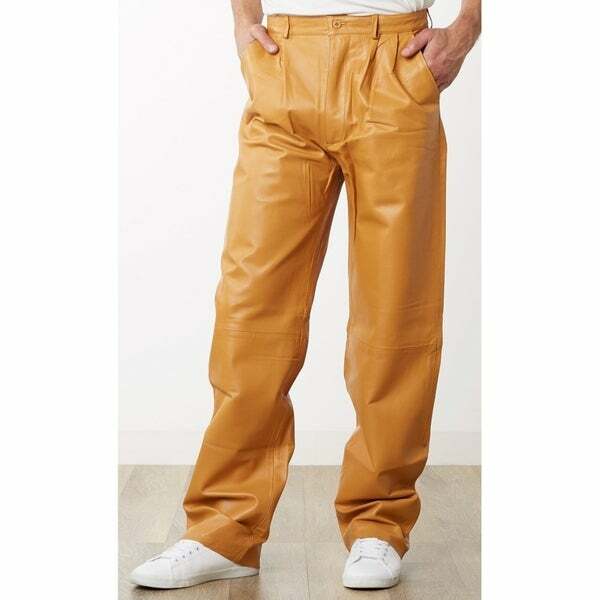 Step out in style in these genuine leather dress pants by Tanners Avenue. Made from napa leather, they are soft, supple yet durable. Fully lined with satin for your comfort (falls below knee). Pleated front with a relaxed fit through the thighs and legs. They are unhemmed and come with a 32" inseam. Two front pockets and two back pockets to hold your essentials. Order your waist size. As with genuine leather, they will "give" a bit as you wear it in. Men's Dress Pants Buying Guide from Overstock.com. Once you know the details to look for, you'll be able to choose the perfect pair of dress pants, even when you're online shopping.